You’re probably already familiar with the handiness and versatility of a portable generator. But are you making sure its versatility and power will be readily available when you need it? Maintenance is a very important part of owning a portable generator. Not properly maintaining your portable generator could lead to hard starting and inefficiency. So follow these 5 portable generator maintenance tips to ensure that your backup power source stays reliable. 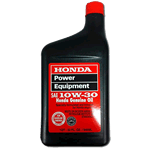 As with any small-engine power equipment, changing the oil is a major factor in maintaining reliability. The majority of new generators need their first oil change to be done after just 30 hours of use. After the first oil change is completed, future oil changes only need to be done every 100 hours of use, or every season at the very least. To be prepared for unexpected extended power outages, stock up on oil, oil filters, and even gas. Without a way to breathe and a way to ignite the gas in the cylinders of the engine, your generator would be useless. 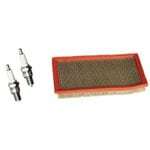 Change your spark plug and air filter every 200 hours of use, or at least once at the start of each season. Having a new spark plug paired with a clean air filter will assure proper fuel-air mixture, helping the engine to run more efficiently and extending the lifespan of your generator. If you’re planning on putting your generator away in storage for longer than a month, be sure to drain the fuel from the tank. Start by adding quality gas stabilizer to the fuel in your tank, then run the unit for about 15 minutes. Let the engine cool down, then start and run the engine until it runs out of gas and shuts down. If there’s a lot of gas left in the tank, you can use a siphon. Just be sure the siphon is non-conductive, to avoid generating static electricity in the tank. Not all portable generators will have a battery, but those that feature electric start should be fully charged before storing. 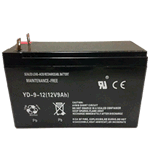 If you can, plug the battery into a trickle charger to keep it fresh and ready when you need it. While these storage tips make a world of difference, it’s always best to start your generator every 30 days and allow it to run for a few minutes. 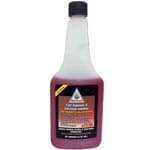 Doing so will help keep components lubricated by circulating the oil throughout the engine.